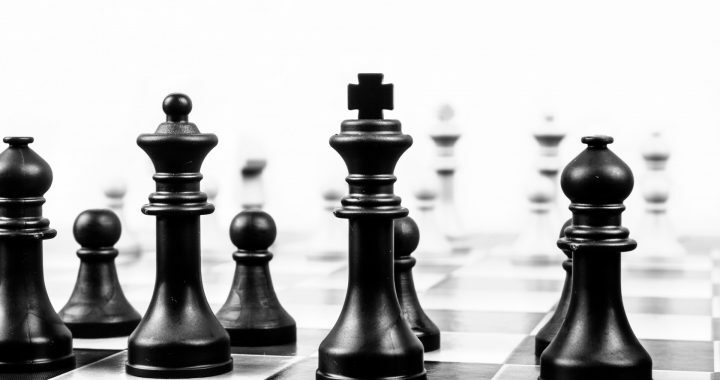 Negotiation Strategies in the real world need to respond to shifting perceptions of what is happening at the negotiating table and what is happening in real life. This nimbleness works best if all the parties to a negotiation exhibit it; however even when they do not there are tactics that can be unilaterally executed that can elicit nimbleness in another party and move the negotiation in favour of the acting party. This post covers how preparation and strategy can keep you nimble. It will help you to secure your interests at the negotiating table whether you choose a distributive, integrative or combined strategy. It will also start to teach you how to unilaterally act to make your other1 become more nimble. No matter which of the negotiation strategies you select, being nimble during negotiation is essential. A distributive bargaining outlook “assumes that a fixed amount of resources is available to address the existing interests in a negotiation.”2 The goal is to claim as much value as possible. Even with a fixed goal to claim as much as possible there is still a role for nimbleness. 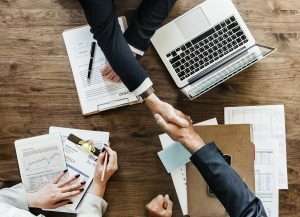 A negotiator can increase their substantive take by shifting their other away from substantive interests and towards the the other elements of the satisfaction triangle: procedural interests and emotional interests. A process that seems fair helps satisfy everyone involved. Don’t underestimate the power of fair dealing at the bargaining table. Being sneaky may get you one win, but it will be your only win. Fulfilling an emotional interest in a distributive bargaining scenario may seem like a fluffy solution. We have all heard about a friend that wrote a letter to a home seller, or a family that got a house because the seller wanted to sell to “a young family” and accepted a slightly lower offer. Recently, BBC ran a story about a woman who, unable to sell her mansion for her desired price, decided to sell it for $25 and an essay about how the house would change the recipients life. Clearly emotional interests can help drive satisfaction even in the absence of substantive results. When the work of value creating is complete, “all negotiations reach the point when the accumulated and generated value must be claimed.”5 In this case, being nimble means recognizing when the maximum value has been created and shifting to the distributive strategy prior to your other. Without being ready and making this shift the other will have the opportunity to claim value while you are still attempting to create value. The pinnacle of nimbleness is to combine both distributive and integrative strategies and to move seamlessly between them. In a combined negotiation you use the nimbleness in both of the preceding ways, and use it to shift from integrative to distributive once the value is maximized. This allows the nimble negotiator to quickly claim value created at the table while giving the other party enough of what they need to keep them negotiating. Preparation is not only important to allow you to be agile. It also allows you to teach your other about the deal. Information needed as a basis to change your other’s mind may not be visible from their perspective. Making a proposal that fulfils your other’s needs shows you understanding your other’s business. You model the preparation you want to see and demonstrate that there is value to be lost by continuing their current strategy. By showing them a friendly proposal first, you also demonstrate you care about what they care about. Developing mutual preferences and shared goals can cause a more “favourable attitude [to develop]”6 about the other party. An other party may maintain their negotiation stasis because of a dislike of the proposing party. Changing their mind about you may be the first step to getting them to change their negotiation behaviour. Low levels of trust can cause a party to “[assume] intentional dishonesty, meanness and hostility.”7 By building affinity you can create trust or the short-term illusion of it to get to work towards a solution. Getting the other side of a negotiation to change their mind and engage in a more nimble and flexible strategy requires some work. It often means you need to get your other to change their mind about you or, at very least, your motives.8 By demonstrating an understanding of your other’s needs, showing an affinity for something good for them when possible and by shifting their attitude towards you, you can foster trust and make constructive solutions possible. Being nimble in negotiations does not mean being a pushover and giving in. Being nimble in negotiation requires preparation and knowledge of the substantive issues to be addressed and the outlying issues that may be added to the negotiation mix. No matter what strategy you are using, nimbleness will help you get more value. In a distributive strategy, shifting your other to process and emotional fulfillment can increase your take of the substantive issues under negotiations. In integrative bargaining, nimbleness allows you to create more value and respond to your other’s attempts to create value in a way that maximizes the deal for both parties. In a hybrid negotiation, nimbleness allows you to shift interests and to maximize value, but it also allows you to identify when the maximal value has been created and shift quickly to ensuring that distribution to your side is maximized. If you have hit a wall in your collective agreement negotiations, contact Wakely Mediation for Collective Bargaining Mediation or if you are getting ready for your next round, we offer negotiation training and consultation on bargaining strategy. Let us help you reach a better agreement.